As ethnic groups clash, the international community faces the challenge of understanding the multiple causes of violence and formulating solutions that will bring about peace. Allowing for greater insight, Jesse and Williams bridge two sub-fields of political science in Ethnic Conflict - international relations and comparative politics. They systematically apply a "levels of analysis" framework, looking at the individual, domestic, and international contexts to better explore and understand its complexity. Five case study chapters apply the book's framework to disputes around the world and include coverage of Bosnia, the Israeli-Palestinian conflict, Northern Ireland, Sri Lanka, and Sudan. 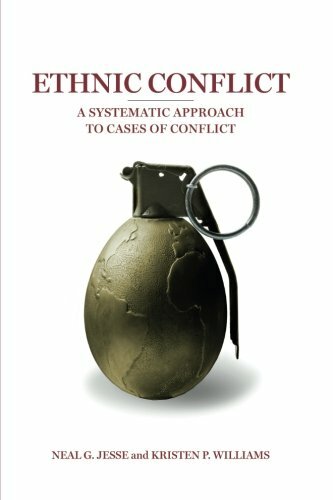 Never losing sight of their analytical framework, the authors provide richly detailed case studies that help students understand both the unique and shared causes of each conflict. Students will appreciate the book's logical presentation and excellent pedagogical features including detailed maps that show political, demographic, and cultural data.